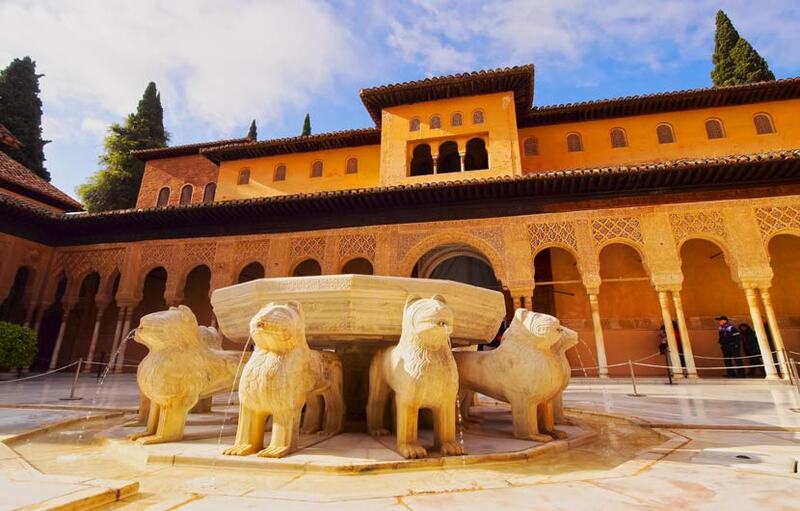 Spain has around 5,000 kilometers of varied coastline; so you can be sure there are hundreds of perfect Spanish beaches to explore and enjoy, some of the best beaches in Spain rank among the greatest in the world. By definition, a great beach is one that gets you hooked and makes you hate the idea of leaving when your holiday is over, the kind of beach that elicits constant dreams and makes you plan to revisit even before the holiday tan is gone. 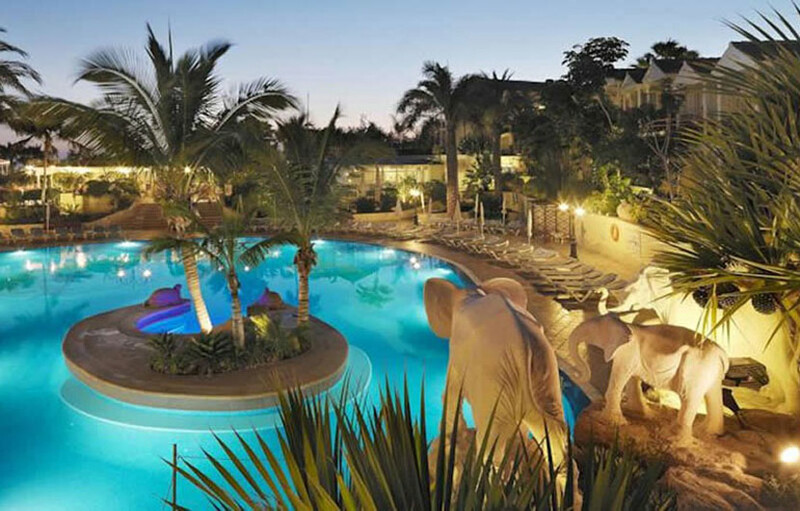 Family beach holidays are where some of the best moments and memories are made and should be enjoyed to the max when holidaying with your family. 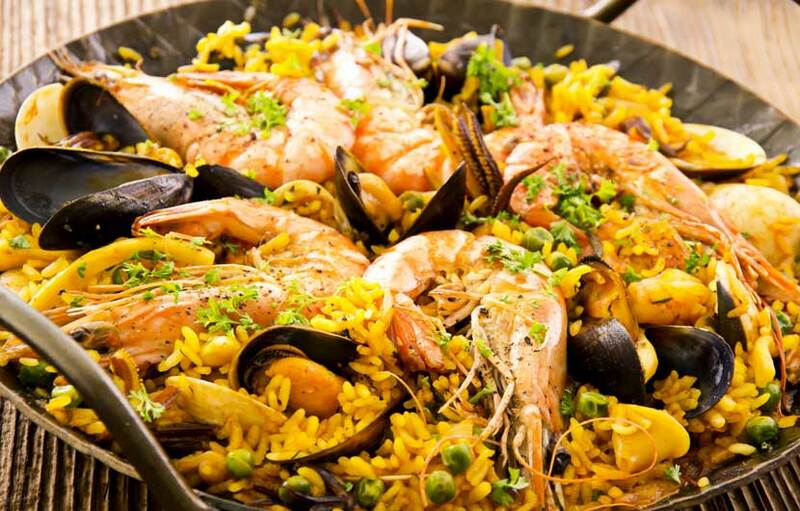 And for an unforgettable beach getaway how about a holiday villa overlooking one of Spain's gorgeous beaches, if that sounds appetizing it's easy to book beach villas and apartments online through ABTA travel member, Interhome. 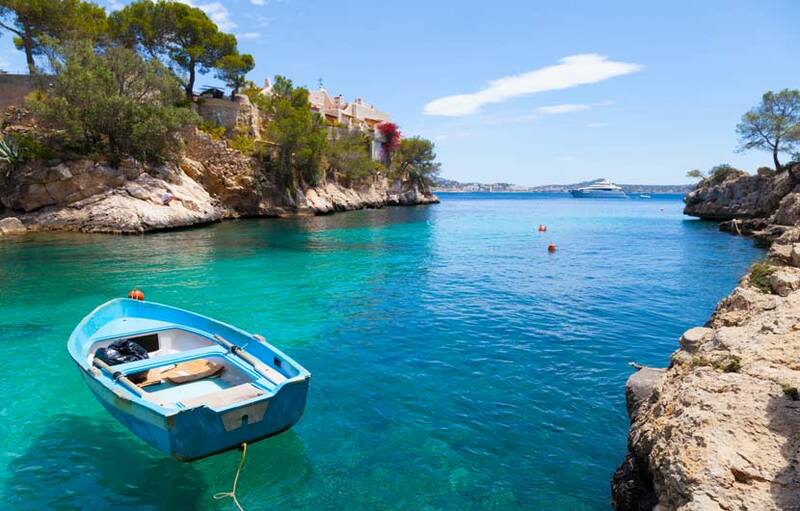 One of the best reasons to visit Menorca is to swim in one the many coves ( Calas ) this attractive little Island has to offer. Quite a lot of them are only accessible via the sea and there position only given away by the yachts and small craft anchored slightly offshore around them. Driving around the island is a great way to explore these gems and the awesome beach in Cala de Algaiarens is must visit beach. 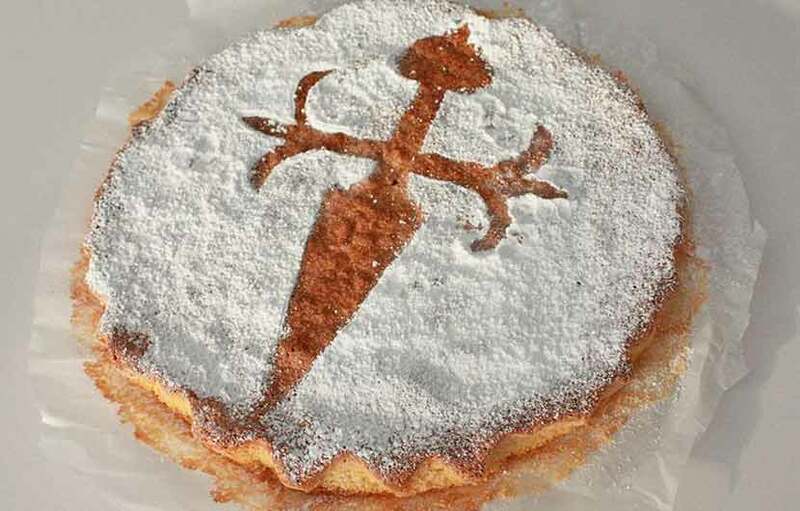 Algaiarens is made up to two large beaches, Platja des Bot and Platja es Tancats, which is the largest one. Both are located within a rocky bay and are probably the most protected beaches on the north of the Island. 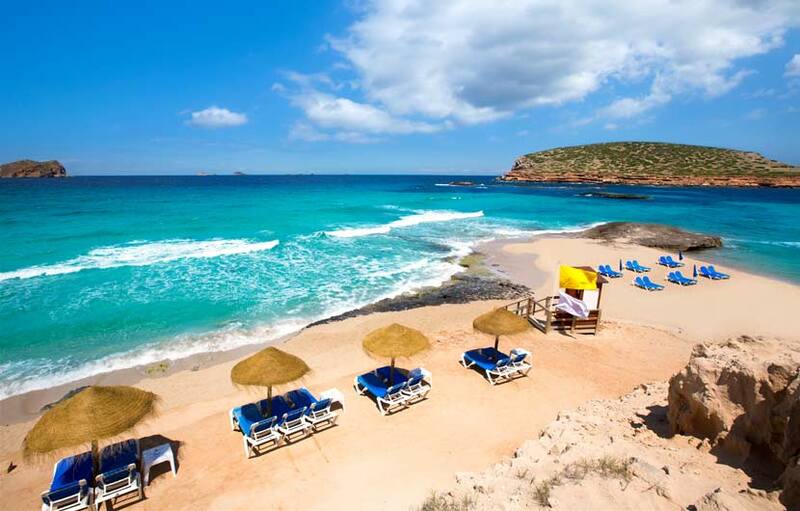 Cala de Algaiarens has soft fine grained sand with shallow waters, both are child friendly. 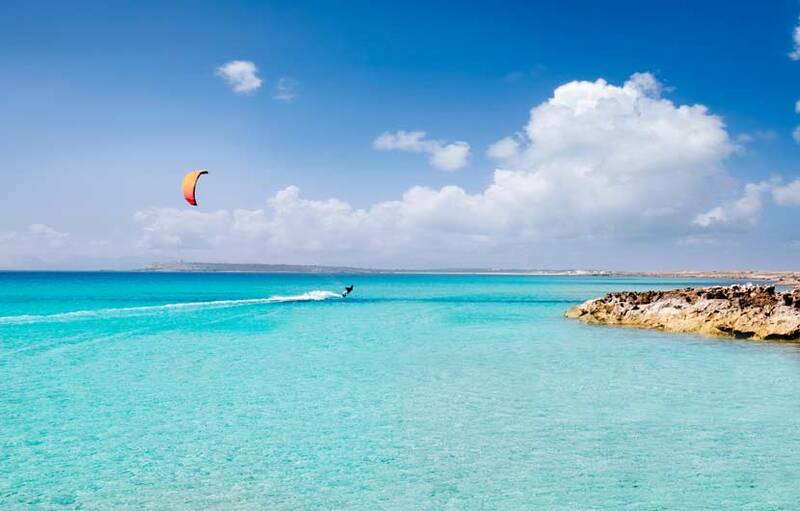 The stunning Playa de Illetas is located on the northern tip of Formentera. You could be forgiven in thinking you where on a remote Caribbean island when your lounging on the beach at Illetas. This beach is probably the most visited by tourist and locals alike so can get a little busy at peak times. The general area is easily accessible by any vehicle although due to the terrain some parts are only accessible by walking or Bike. 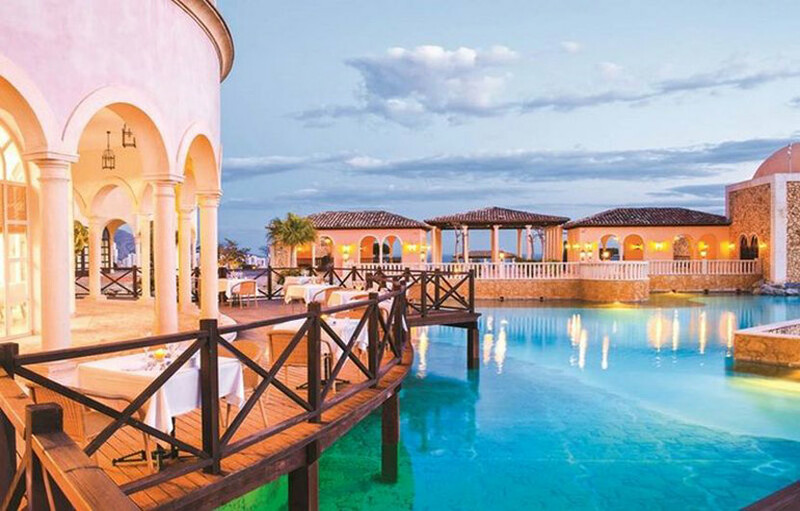 There are restaurants, kiosks and sun beds to rent. 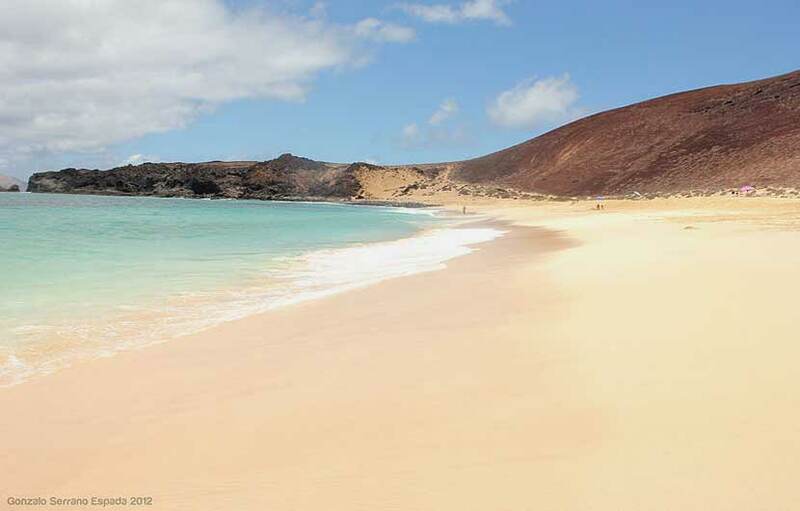 The Cofete beach is located within the Jandia natural park withing the Pajare municipality to the south of the Canary Island of Fuerteventura. 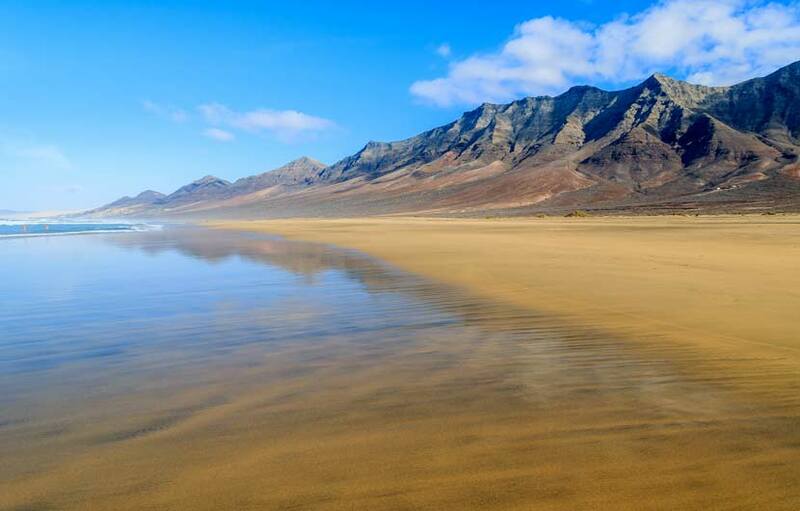 Cofete is simply stunning, with golden clean sands and crystalline waters. It can be windy hence another superb windsurfing destination. If you are looking for a very peaceful out of the way beach, Cofete is for you. It is not easily accessed hence you are guaranteed there will be very few other people around, naturism is accepted here due to its very private location. 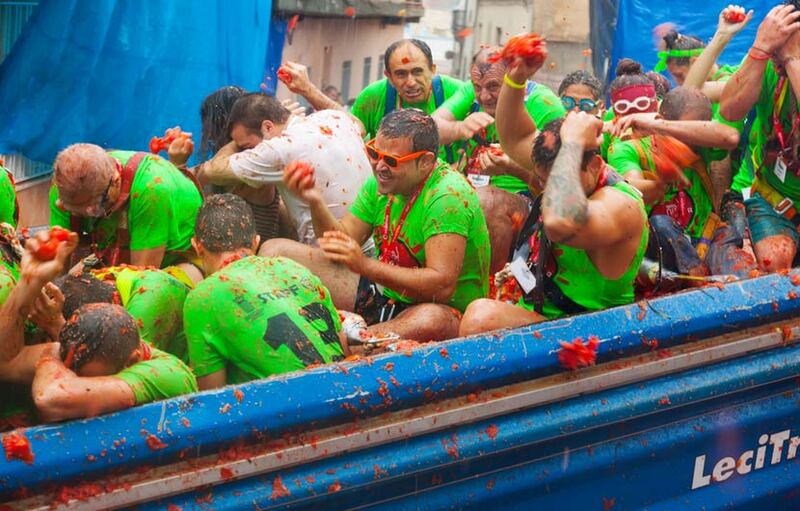 There are no facilities as such so go prepared. 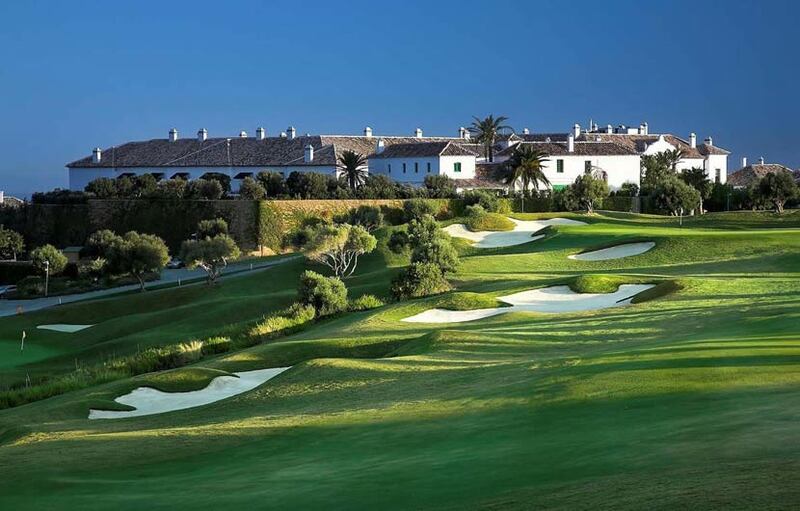 The landscape is amazing as it is surrounded by the impressive Jandia mountains. The beach usually has strong waves so great care should be taken when bathing. 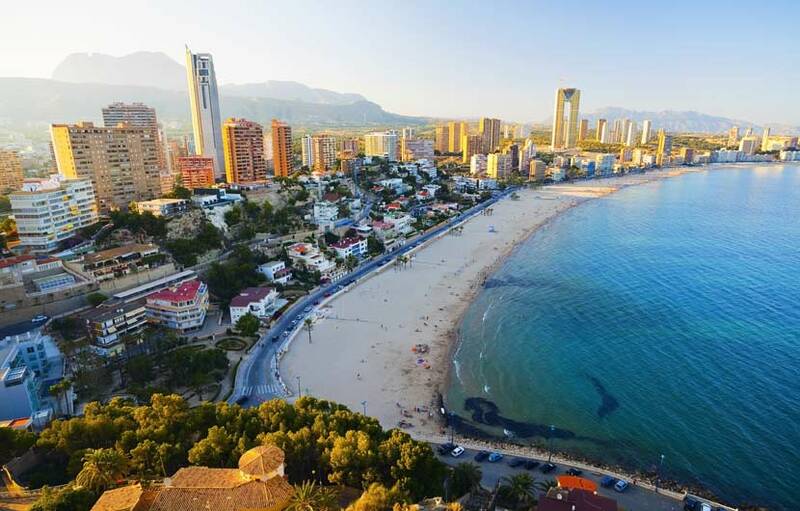 There are numerous beaches located along the Alicante and Denia coastline, the best include Les Marines, Les Deveses and the Les Rotes Beaches. Les Marines is about 2 kms long with fine sand. 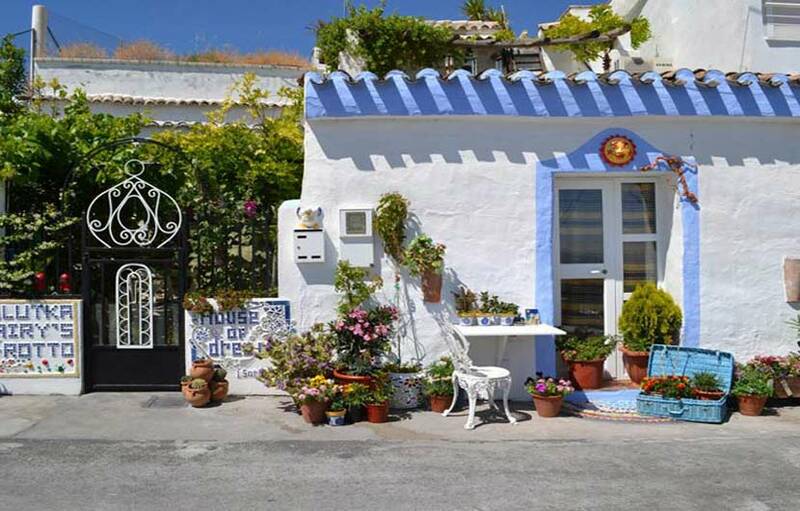 Les Rotes is located to the South of Denia and is noted for its natural beauty. Les Deveses is the largest beach in the area at around 4 kms long, it has fine golden sand with a normally calm surge. It is prone to get windy at times and therefore a firm favourite with the windsurfing community. 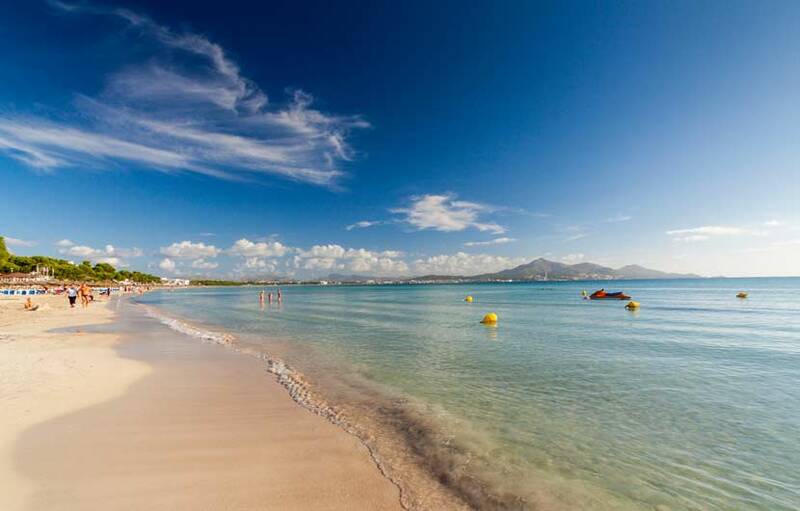 Alcudia beach is within a large cover on the north eastern tip of Mallorca. Shallow clear warm waters with a high sand quality make this a popular beach on the Island. Great for young children as the large horse shoe shaped bay offers protection and calmer waters for bathers. 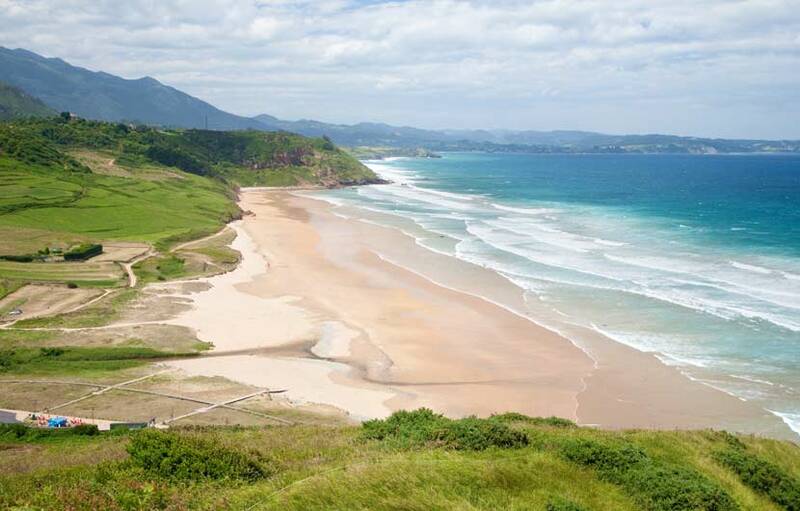 Playa Andrin is one of a series of outstanding beaches located in the province of Asturias in Northern Spain. Andrin beach is often voted one of the best in Europe. Located in a quite stunning setting the beach is a firm favorite with surfers as the waves can be quite strong off the Atlantic, Sun worshipers will love the quality golden tranquil sandy beaches. 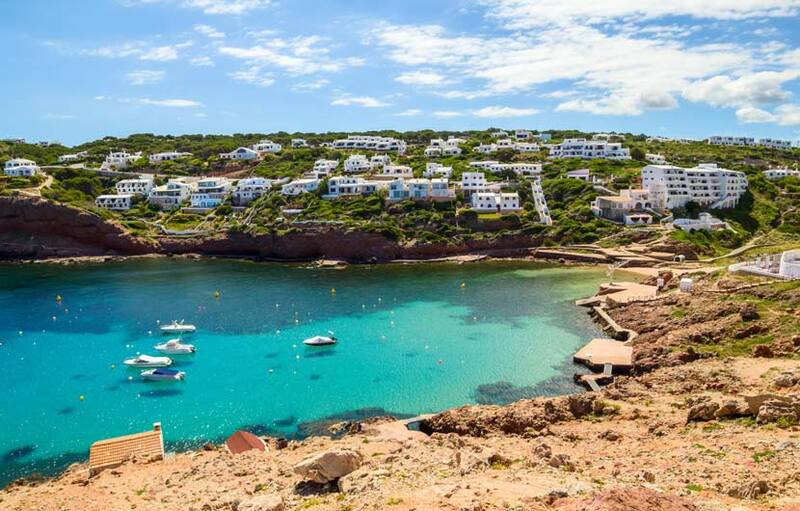 Cala n Porter is located on the south of the Island of Menorca and one of the nicest in the area, As with a lot of coves on the Balearic Islands, Cala n Porter is situated within a protected bay area and offers high quality sand and clear waters. The sea is ideal for snorkeling and safe swimming. There are more than enough bars and restaurants located around the beach to enjoy a nice meal between your sun bathing and beach activities. 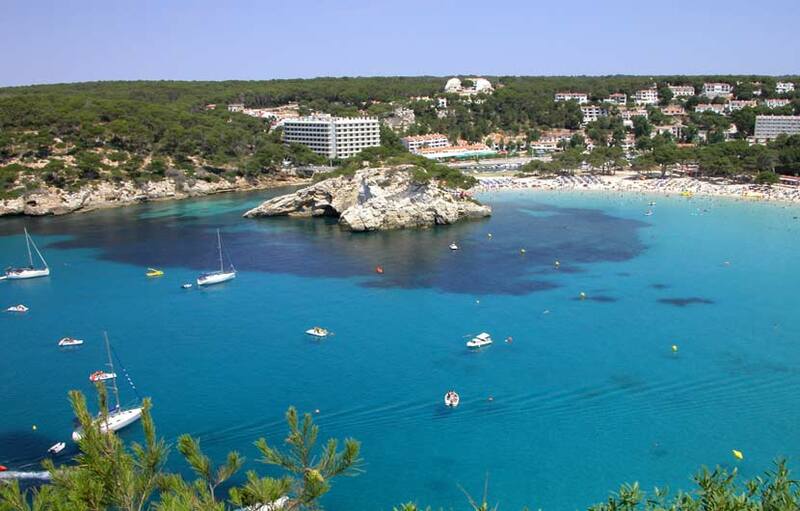 Cala Fornells is another popular cove beach area located on the Balearic Island of Mallorca. Situated some 40 kilomoters from Palma airport. Calm clear waters of the bay make this ideal for swimming, sun bathing and water sports in safe environment. 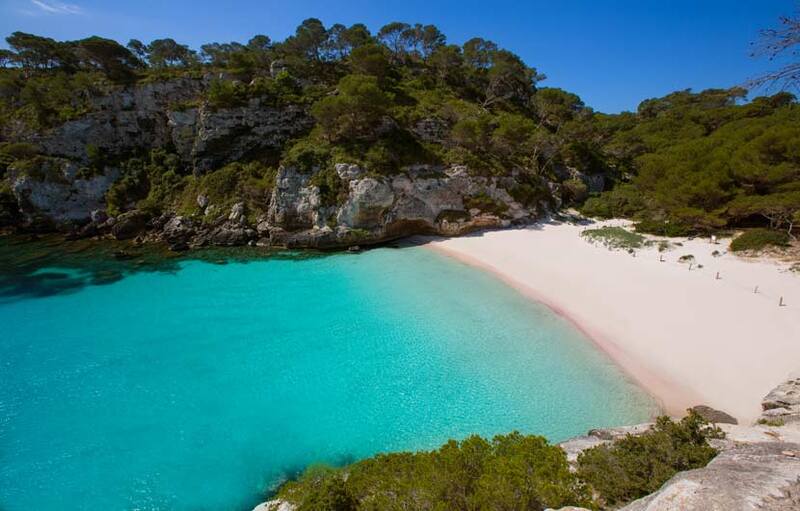 Cala Galdana is located on the western end of the south coast of Menorca just 10km from the town of Ferreries. This much loved beauty spot attracts many visitors each year who love the soft white sandy beaches, the protected bay area and crystal clear waters, perfect for bathing. Cala Macarella and Cala Macarelleta and two of the most picturesque and photographed beaches located in the south of the island of Menorca. 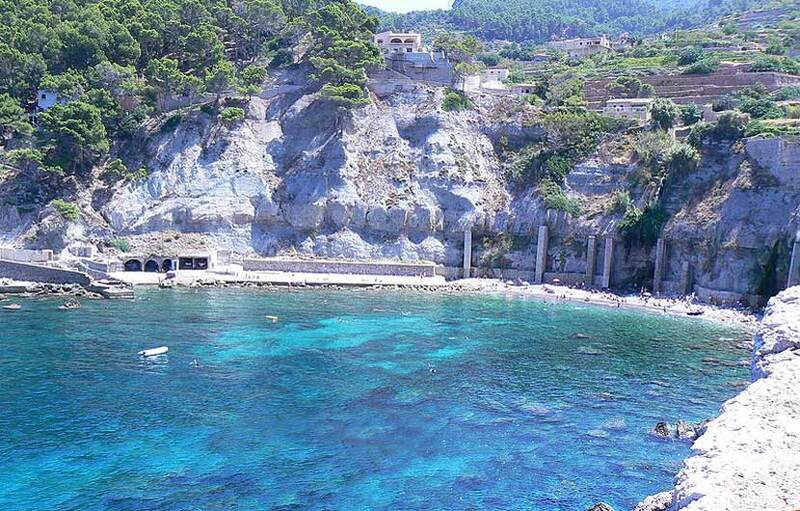 Surrounded by high cliffs and a pine forest and crystal clear turquoise coloured waters both these Calas are simply stunning. Although off the beaten track and not so easy to get at they are amongst the most popular beaches to visit specifically during the months of July and August. 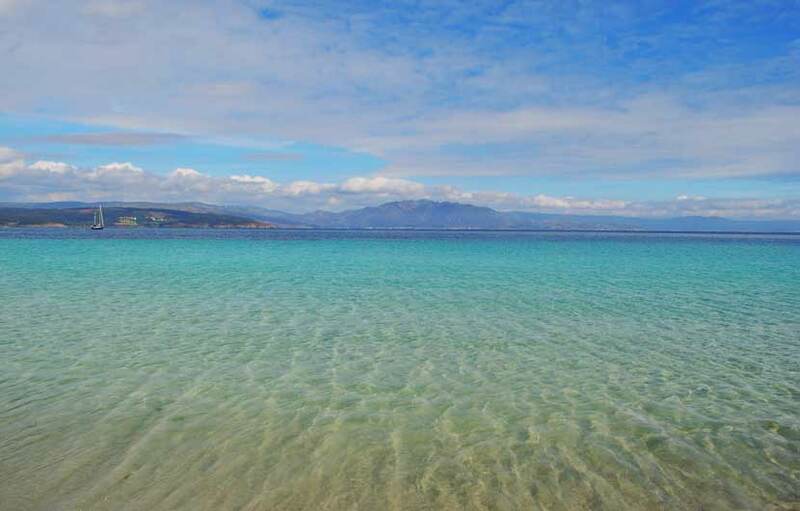 Cathedrals beach is one of the most visited beaches located on the northern coastline of Galicia. 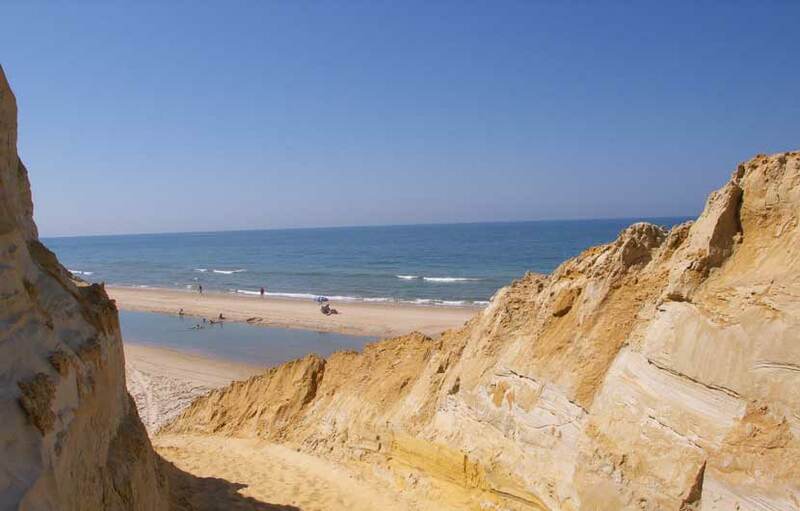 This stunning beach with the official name of Praia de Augas Santas which translates to the beach of the holy waters. If you pan to visit northern Spain then this is one beach you should add to your holiday itinerary. 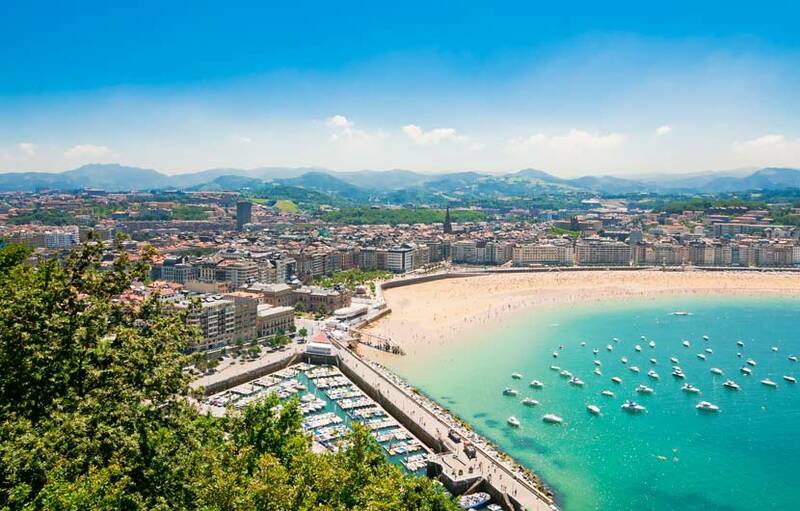 La Concha ( the shell shaped ) beach located in the famously stylish coastal city of San Sebastian in northern Spain. 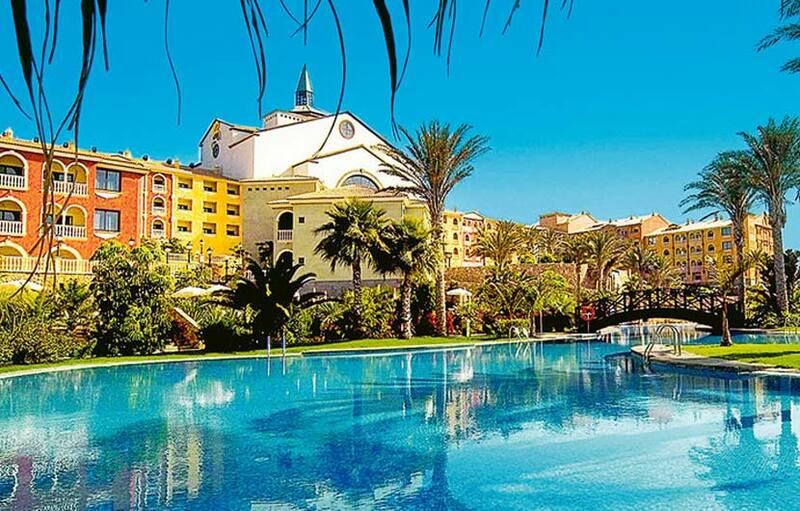 If you are looking to experience an authentic Spanish seaside resort then La Concha is a must beach to visit. 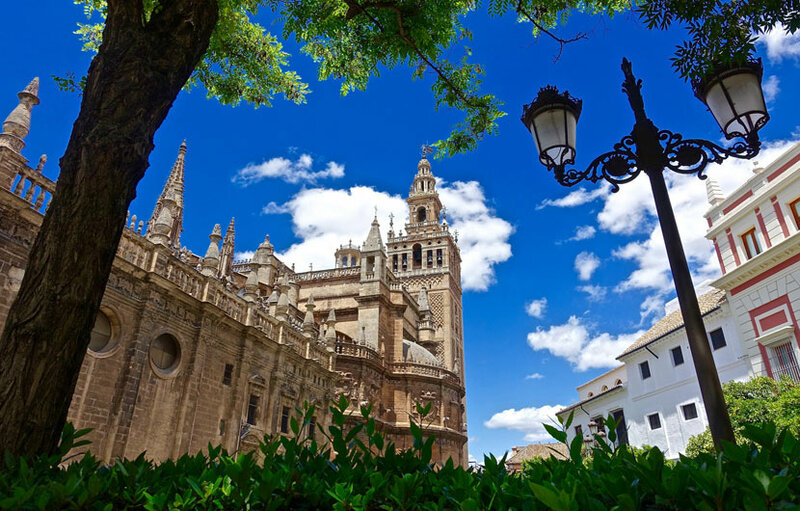 The huge promenade and lined by colonial properties, historic sites, hotels and lots of great tapas bars and restaurants. 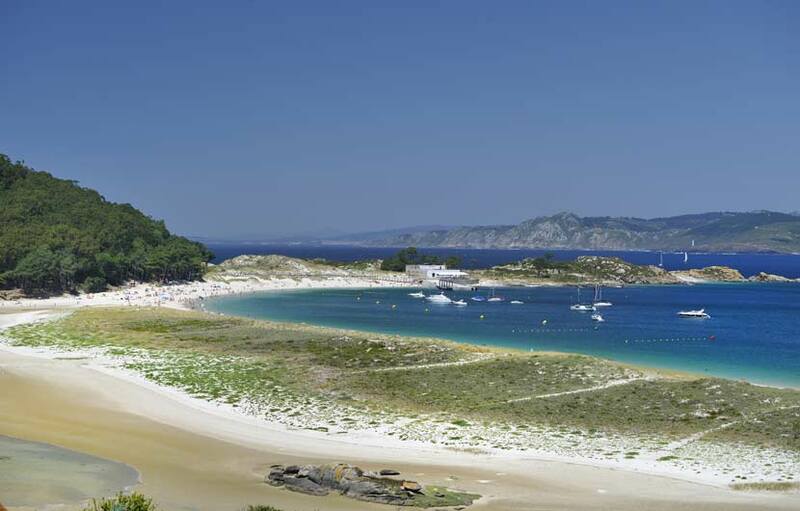 Absolutely stunning is how to describe the beaches around Las Islas Cies, an archipelago of three islands on the coast of Pontevedra in Galicia. The Cies archipelago consist of three islands, Monteagudo, known as “Sharp Mount” to the North, do Faro, known as the “Lighthouse Island” or “Isla do Medio” , the Middle Island and San Martino, also known as “Saint Martin” and is the Southern most Island. These Atlantic islands where declared a natural park in 1980. 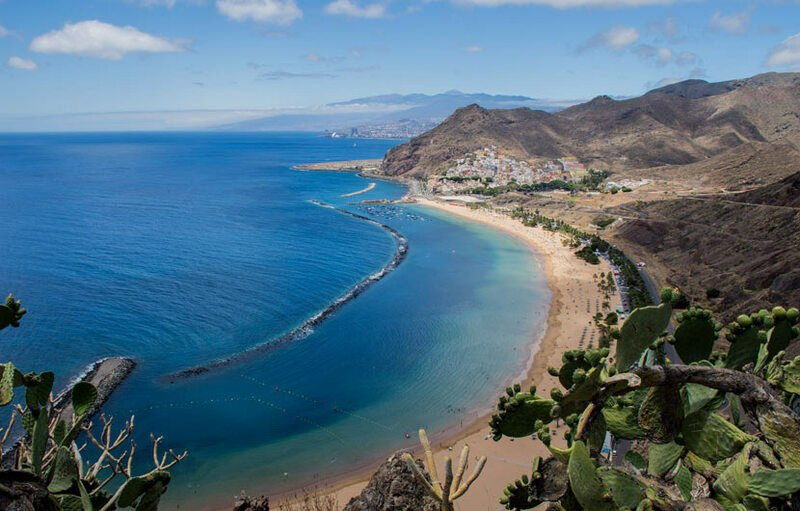 The main beaches are the Playa de Rodas, Playa de Figueiras or de los Alemanes, Playa de San Martino, Playas de Cantareira, Margaridas, Playas de Mixueiro, Areina Playas de los Bolos and Nuestra Senora, Nuestra Senora and Carracido. Natural beauty, clean sands and crystalline waters make sure every outgoing visitor has a hunger to return another day. 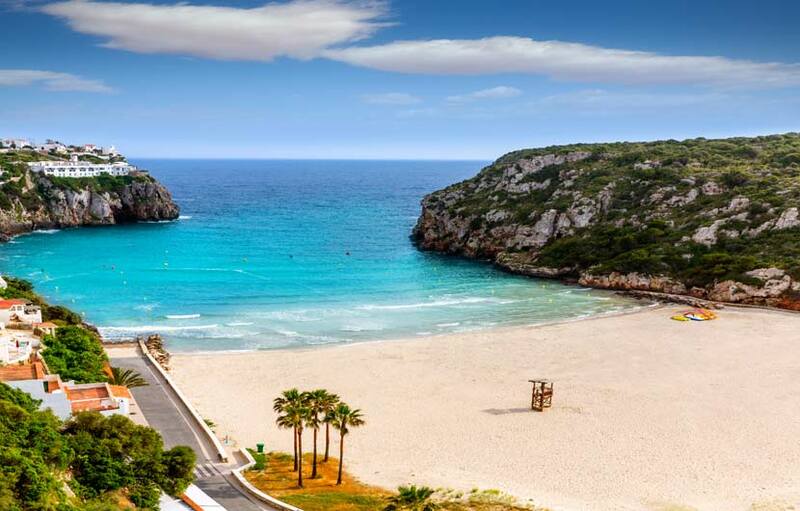 Cala Angulla is another top beach located on the eastern side of the Balearic Island of Mallorca. Declared an area of great natural interest in 1991 Calla Angulla is a beautiful blue flag beach in an idealic location surrounded by sweet smelling pine forests and with the Llevant Natural Park as a backdrop. The soft white sands and calm clean waters make this a perfect bathing beach for all the family. There a few water sports shops and enough local beach bars to enjoy. The Platja de Compte beach is another gem found on the western tip of Mallorca. Clean waters, beach sun beds and a perfect picturesque setting make this a popular beach with visitors. Cala Morell is located on the north west of Menorca. A stunning cover surrounded by cliffs on each side with a selection of white washed Menorcan villas visitors are never disappointing when spending a day sunbathing and swimming. Although the actual beach area is quite small the cove is surrounded by a walkway with jetties where you can place your sun lounger and enjoy diving into the crystal blue waters. 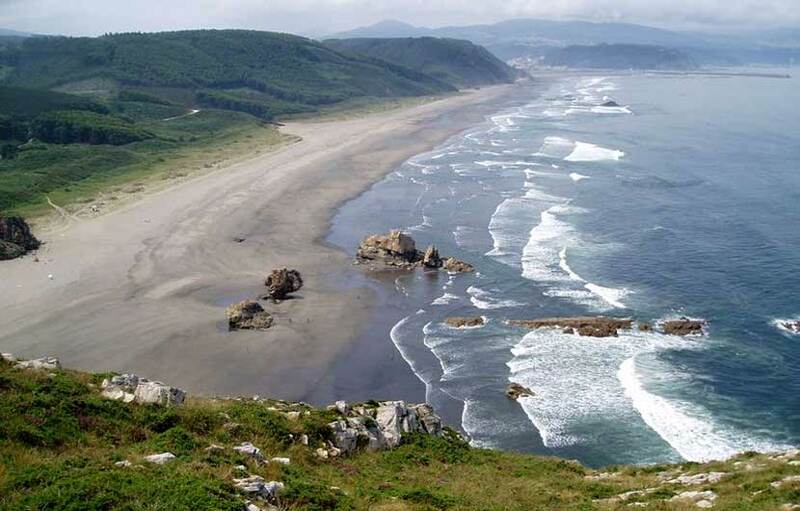 The beaches of the Rias Baixas are located on the western coastline of Galicia. 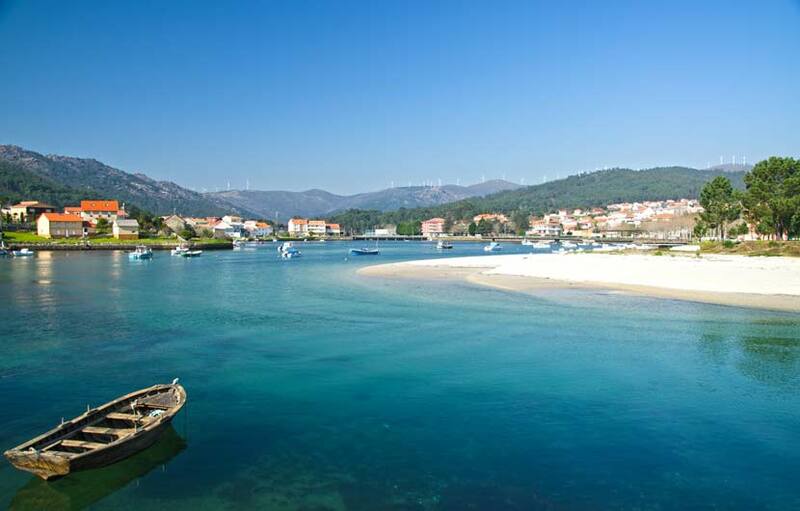 The beaches can be found within the clear water estuaries and include the towns of O'Grove, Sanxenso, Cambados, Portonovo, Arousa and Marin. Although quite chilly the waters and perfect to cool off during the hot summer months. 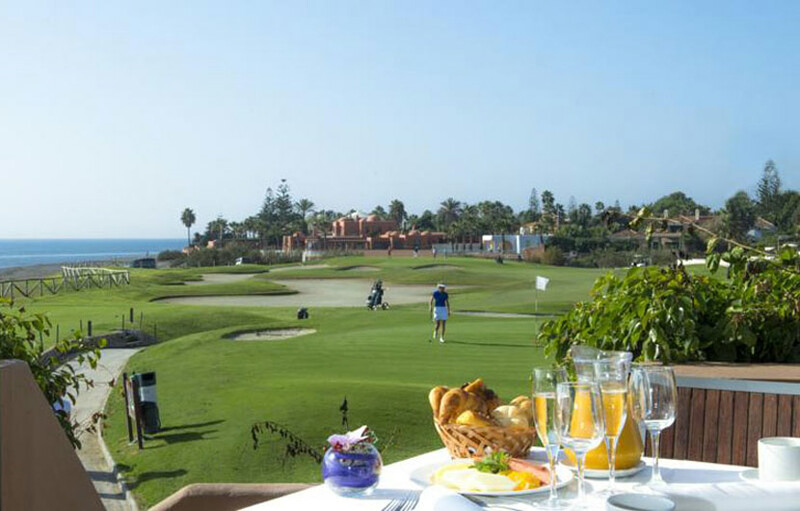 El Duque beach is located on the southern coastline of Tenerife close to the popular holiday resorts of Los Cristianos and Adeje. 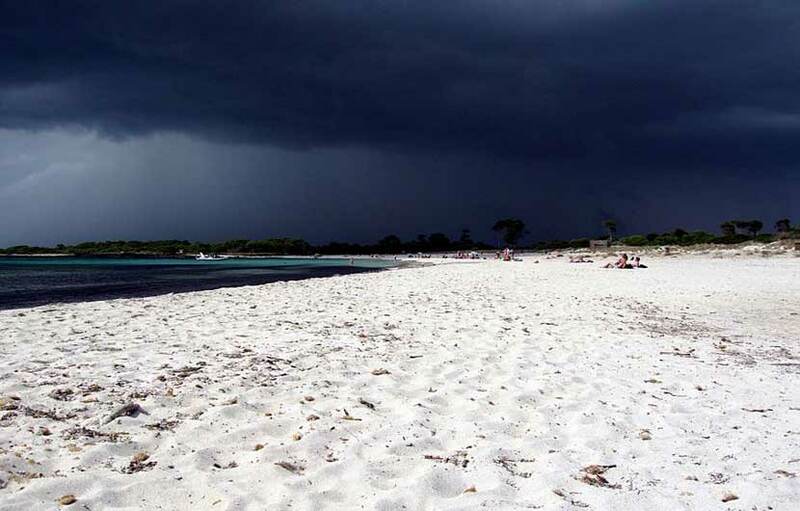 With grey sandy beaches El Duque is one of the most popular Blue Flag beaches in the area. Barbate is located on the southern castline of mainlaind Spain on the Costa de la Luz and is home to some of the most stunning beaches in Spain including the Mangueta beach, Hierbabuena, Zahora Ntra. Sra. 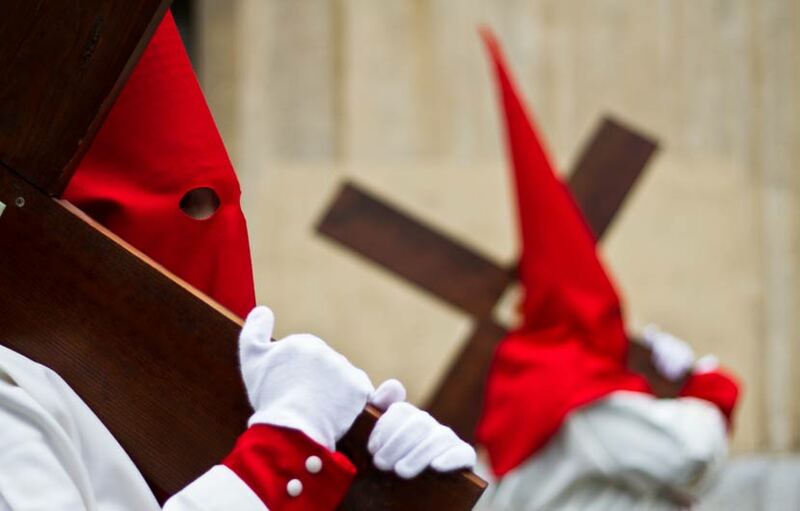 del Carmen, Canillos, Los Canos de Meca, Pajares and the famous Zahara de los Atunes. Most have long areas of fine white sand, sometimes a little windy but beautiful none the less. These lovely beaches are all clean and peaceful and provide a welcome and relaxing break away from the busy Costas. 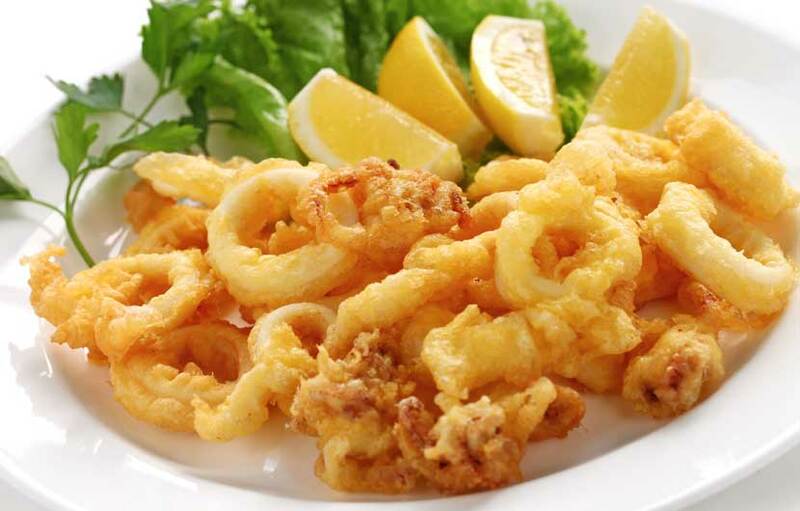 Take our advice and make sure you put them all on your list the next time you visit this area of the Costa de la Luz. If your preference is quiet and isolated then perhaps the Platja de Llevant is not for you, however it truly has a place in any Spanish beach guide. 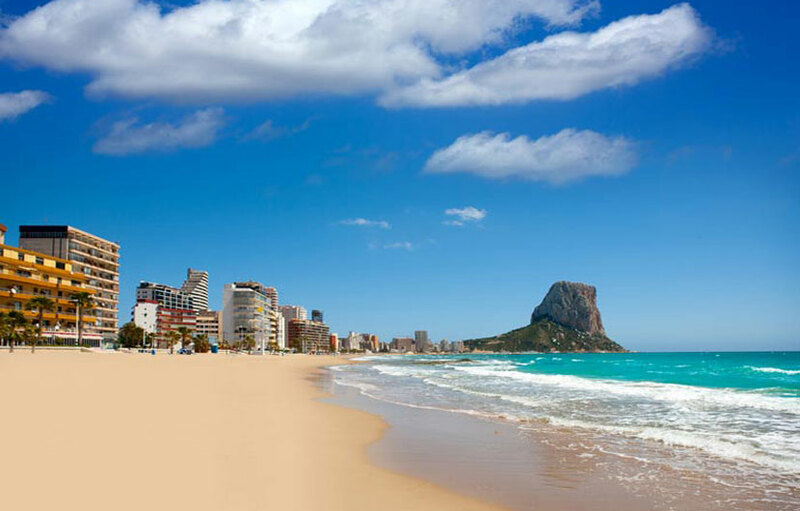 This beach, located on the seafront of Benidorm, Spain’s most popular holiday destination. It reflects everything that is good about a family orientated beach in Spain with it's six kms of clean golden sands. 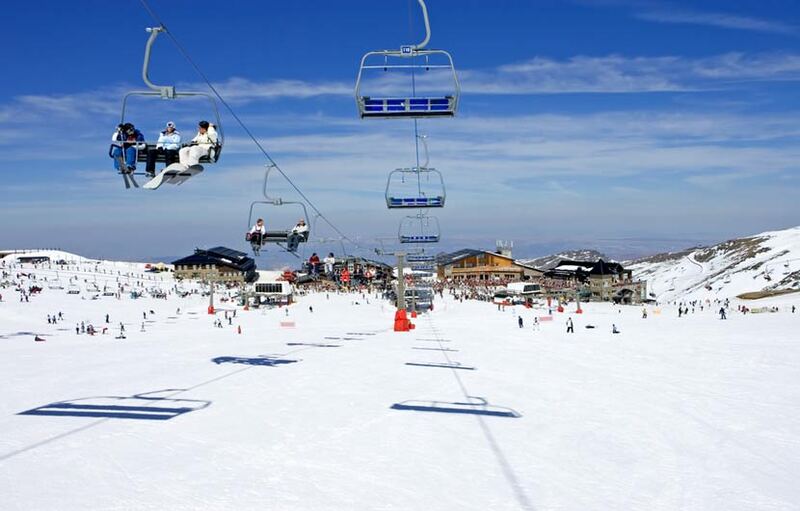 You will find something for everyone here, thousands of sun beds for rent, many restaurants, beach sports, special activities, security and first aid posts, children’s activities and much more. La Vega is a stunningly wild and natural beach located within the province of Oviedo in northern Spain. For nature loves looking for an undeveloped beach this is the place for you. Long rolling waves off the Atlantic make this an ideal surfing and water sports destination. The small hamlet of La Vega is about a 15 minute walk away and there is a nice bar/restaurant to enjoy lunch overlooking the beach and countryside. 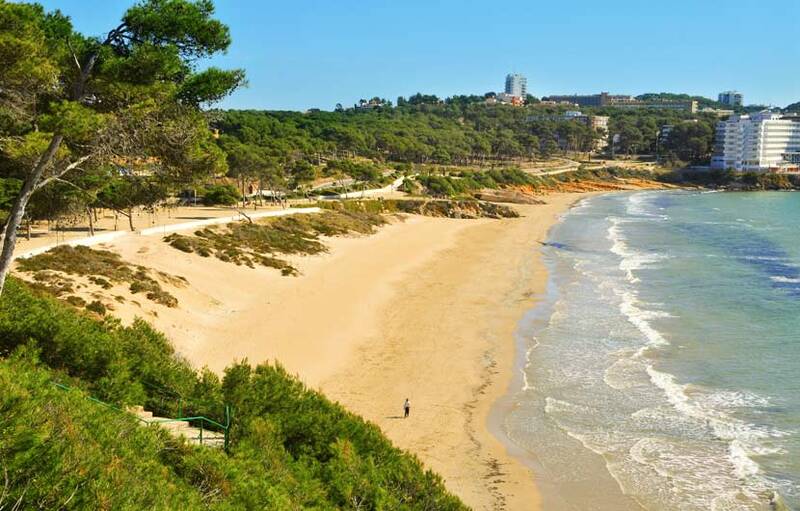 Platja Larga is a semi-urban beach located by the Salou cape in the province of Tarragona in Catalonia. A beautiful setting surrounded by pine forests, Platja Llarga is an ideal beach to enjoy bathing and swimming, perfect for all the family. 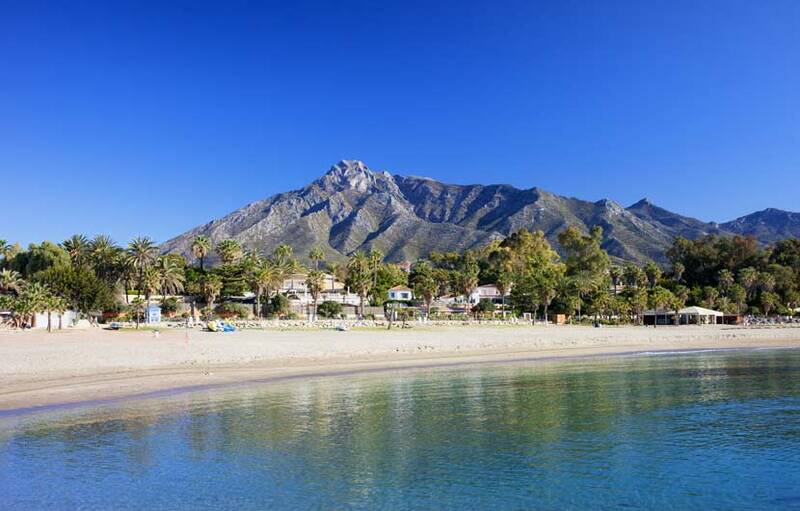 Marbella on the Costa del Sol has long been the playground of the rich and famous and there are number of beaches around the town to enjoy. 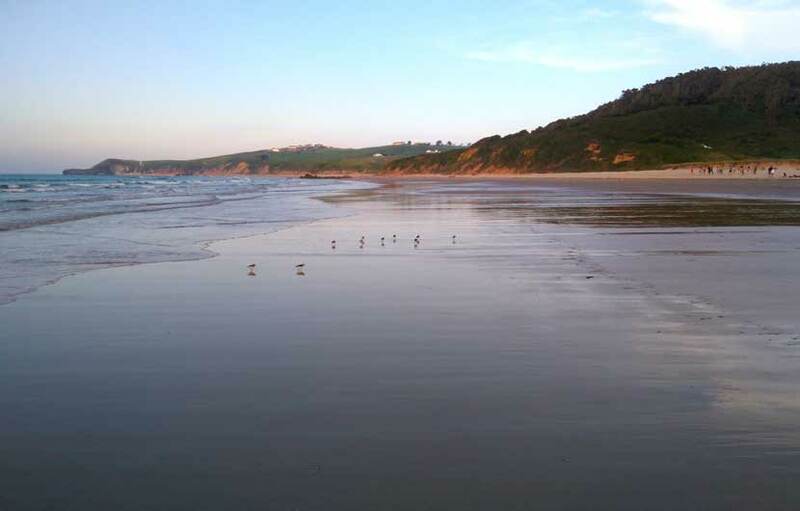 There are around 24 beaches within the municipality, seven of those are current blue flag holders. 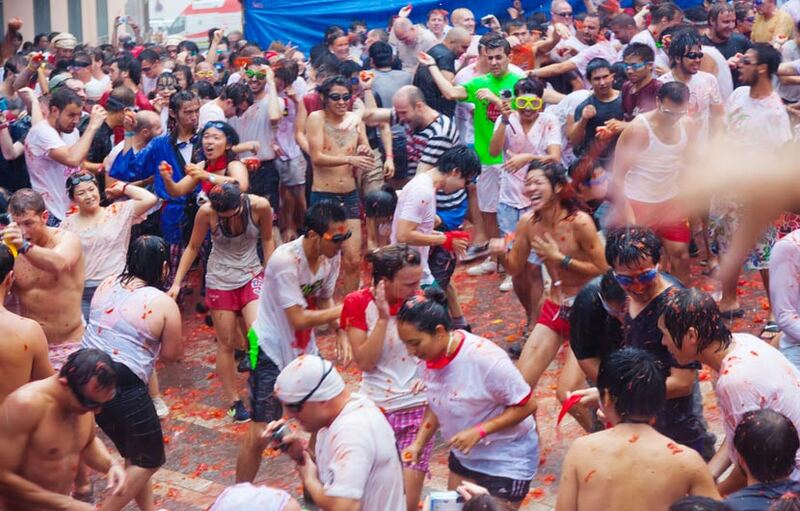 The most popular beaches include Playa Hermosa, Nikki Beach, Playa Real de Zaragoza, Rio Real. Fontanilla and Cabopino. 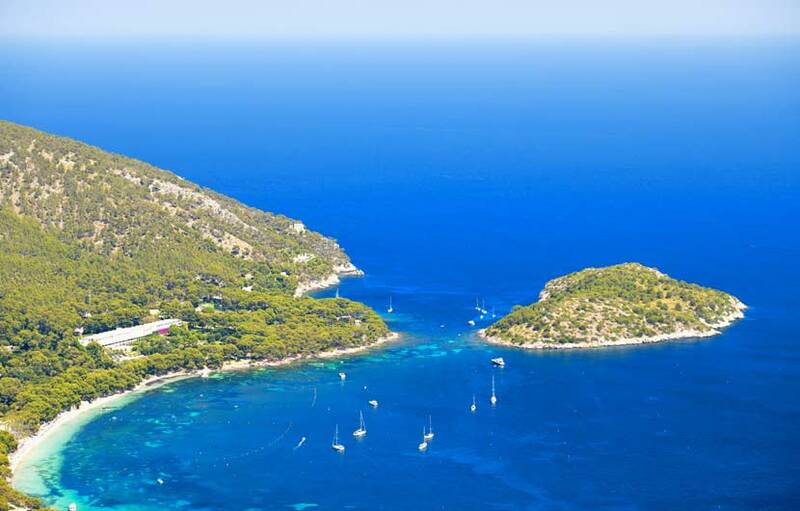 Portinatx is located on the northern tip of the Balearic Island of Ibiza. There are actually three beaches ion the close vicinity. Portinatx is in a superb location offering a quiet seclusion on whit sandy beaches with beautiful views over the bay. 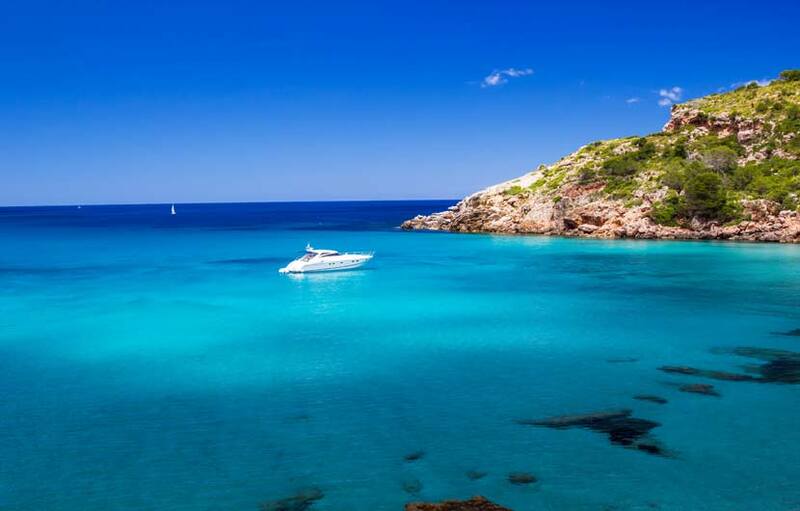 Cala Pi de la Posada can be found on the north western tip of Mallorca and is a popular destination for the yachting elite to moor and pass the day swimming in the crystal clear waters close to the Pollenca Cape. 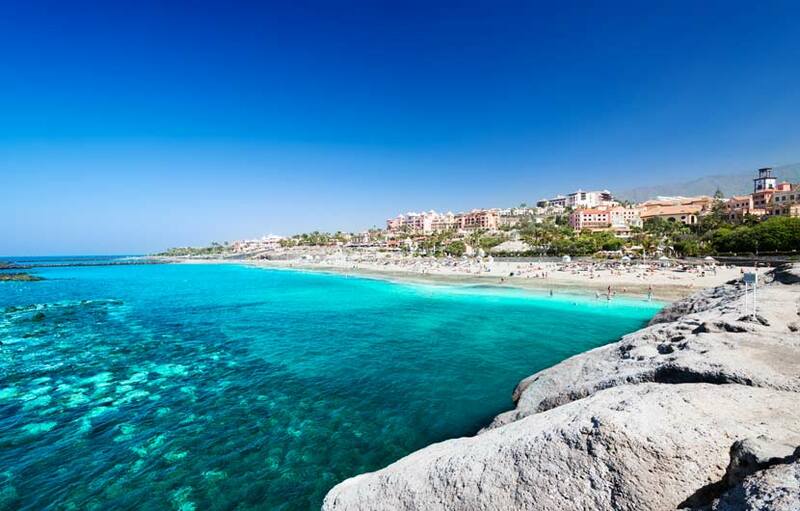 Las Terasitas beach is located on the north eastern coastline of Tenerife, some 15 minutes drive north of Santa Cruz de Tenerife. The sand is soft and light gold in colour, it was imported from the Sahara which was used to cover up the black volcanic sand of the Island. It is an excellent family beach specially for the children as there is a breakwater some meters off shore which makes it ideal for bathing as the seas are calm and shallow close to the beach. Playa de Langosteira beach is situated at the entrance to Cape Fisterra in the province of Galicia boasting a stunning beach around three kilometres in length. The water is crystalline and tranquil. There is an oddity as there is an old run aground cruise liner just of the northern part of the beach called the ” Cruz de Baixer”. 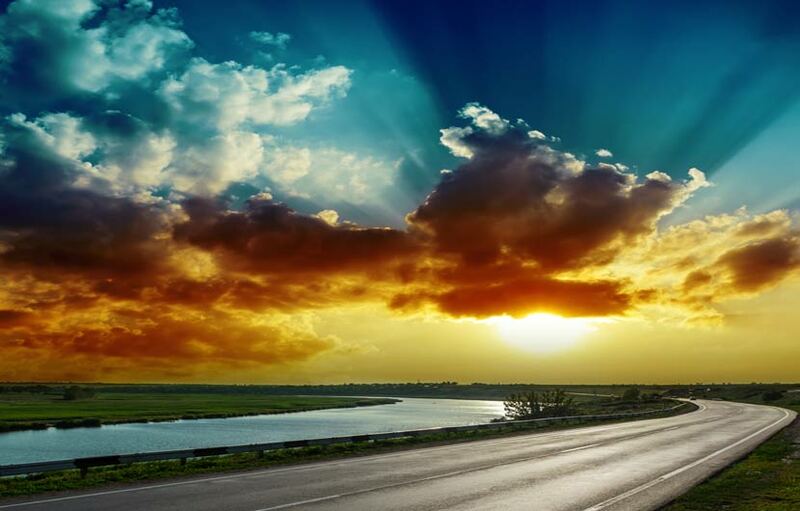 It is the most visited along the Costa de La Muerte ( the coast of death!) and is almost always a holder of the blue flag. 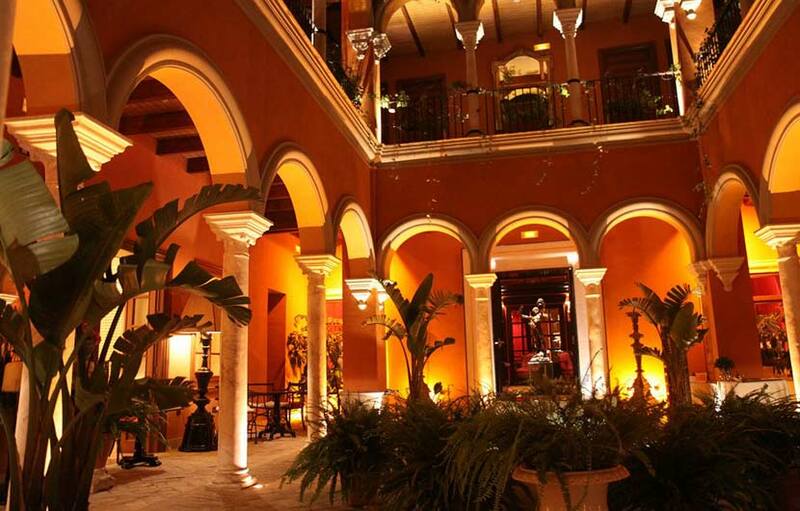 Amenities include, disabled access, bars restaurants. 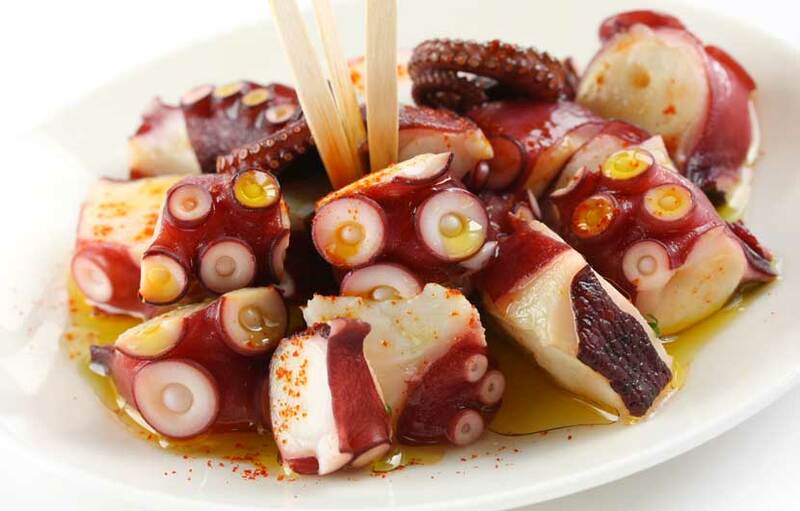 The area is renowned for its rich diversity of seafood always on offer at numerous eateries near the beach. The beaches located around Chipiona on the Costa de la Luz are all proud holders of the Blue Flag and have been the most sort after summer location for the Sevillanos ( residents from Seville ) for many a generation. The beaches include the Playa Cruz del Mar, Playa Las Canteras and Playa La Regla. 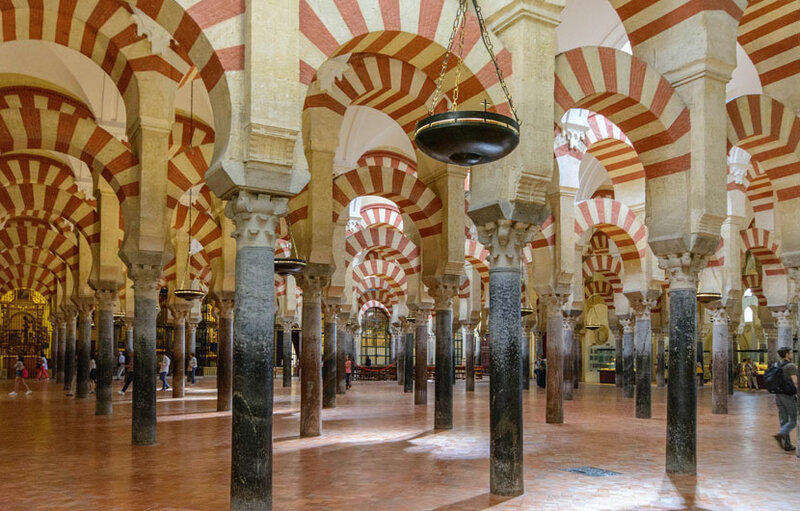 There is family friendly Spanish atmosphere around the the town and its beaches. 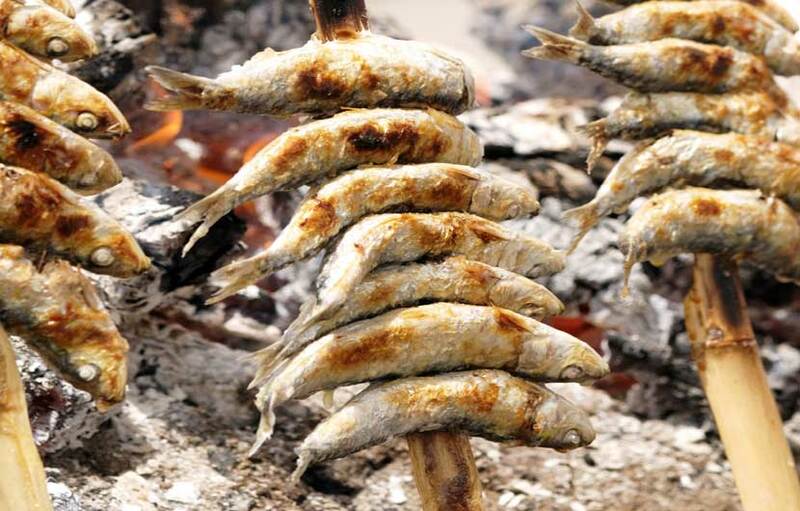 Enjoy the Sardines roasting over the open fires set by the beach bars and restaurants and other fine fresh sea food on offer, specially the delicate taste of the famous Gambas Blancas ( white prawns ) caught close by in the warm and clean waters off the Cadiz coast. The Playas de Mazagon are firm favourite for all beach lovers staying near Huelva located in Andalucía’s beautiful southern coastline. 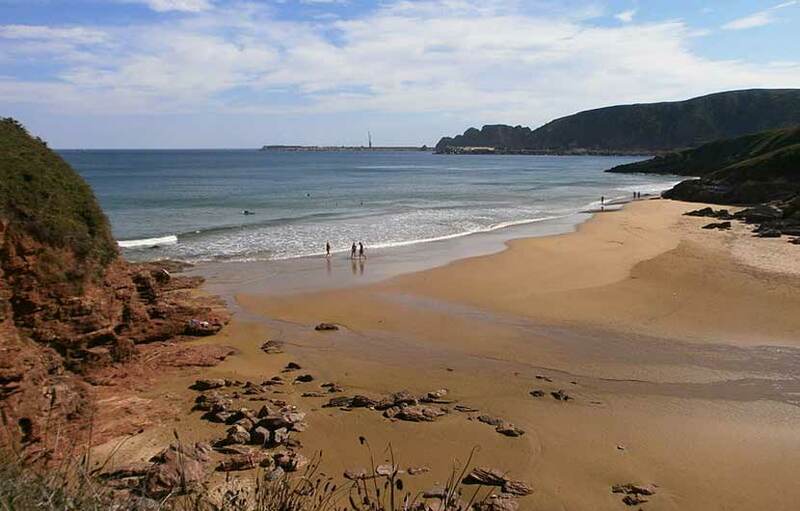 There are 3 main beaches near Mazagon, Playa de Mazagon, Playa de Las Dunes and Playa de Alcor. The Playa de Mazagon is the most urban close to the marina, the Playa de la Dunes is westward to the town and usually quieter, the later Playa de Alcor is even more Westward to the town and although quite a walk from Mazagon town centre it is well worth the walk. A pristine beach backed by sand dunes and pine woods. 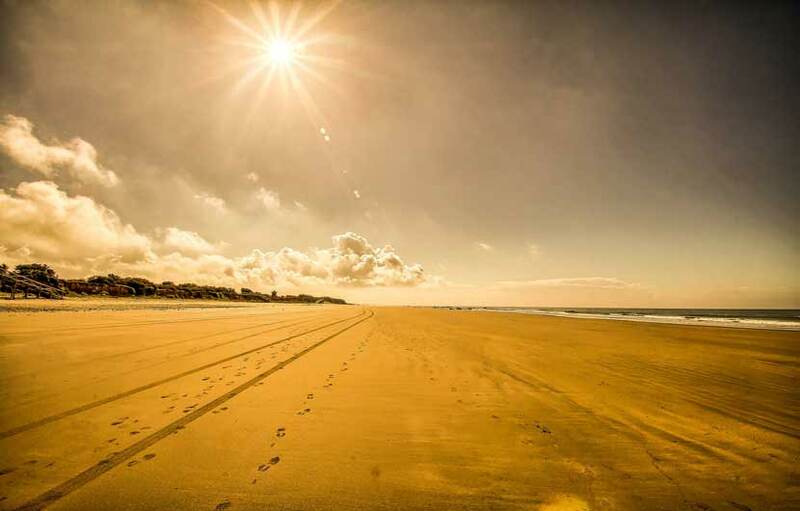 The impressive Mazagon beaches offer around 36 kms of clean golden and are the pride of the Costa de la Luz in southern Spain. San Vicente de la Barquera in northern Spain offers some naturally beautiful beaches around its coastline, they include Playa de Meron and Playa Rosal, Playa de Somo, Playa de Puntal, Playas de Llangre, Playa de Sonabia, Playa de Berria and Playa de Valdearenas. 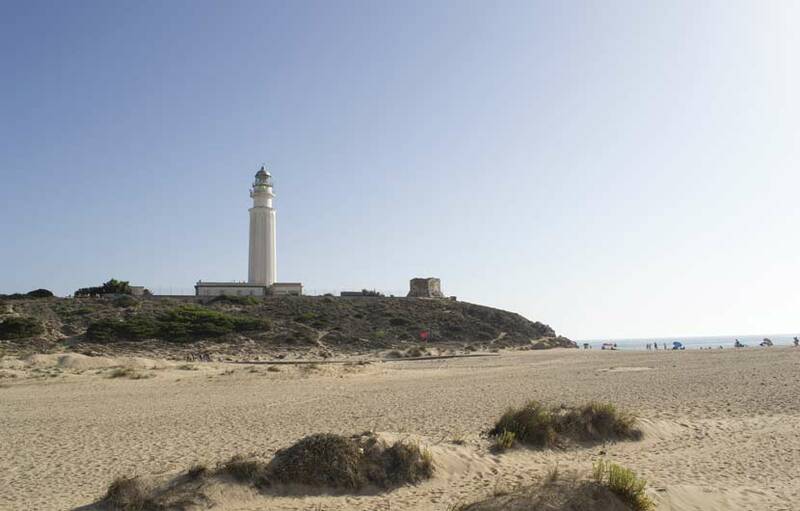 Close though to San Vicente is the Playa de Merón, a semi urban beach with fine white sand. Playa del Rosal or Tostadero, another semi urban beach with fine golden sand. Playa de la Maza, this is a smaller beach situated just before the entrance to San Vicente, it offers fine golden sand and calm seas. Playa de la Fuente, another smaller quiet beach with golden sands. The small village of Banyalbufar is situated on the west coast of Mallorca, near to the mountain range Serra de Tramuntana. The beach is long and narrow in a small bay surrounded by cliffs and trees. Part of it is large stones while the rest of gravel. It is possible to lay down on a towel and the view from the beach is amazing. To some this may not sound an ideal beach but when you are sat on its gentle slopes by fantastic crystal clear waters and beautiful scenery you will understand why this unique place is on our list of best beaches in Spain. Parking is free and is close to the beach. 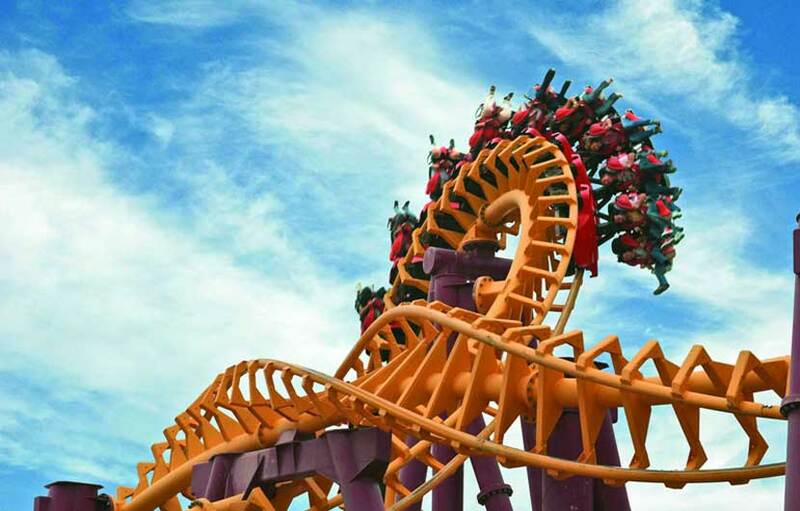 Unfortunately it is not child friendly and is more suited to adults. The bay is ideal for diving and snorkelling. There are no restaurants or beach bars. 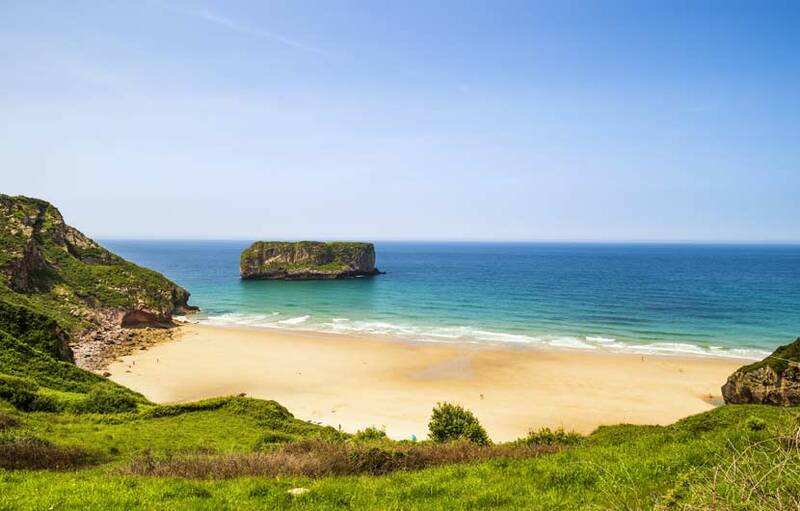 The Xivares beach sums up everything that is Asturian, wild natural beauty, rugged coastline and a freshness that you would expect in part of Spain. It can be quite windy of course with a medium sea surge with sometimes strong currents that can be dangerous so please pay attention to the warning flags. You will be forgiven in thinking you are on another Caribbean Island at the S’alga Beach, Fine white sand, calm clean waters and a breathtakingly natural beauty. 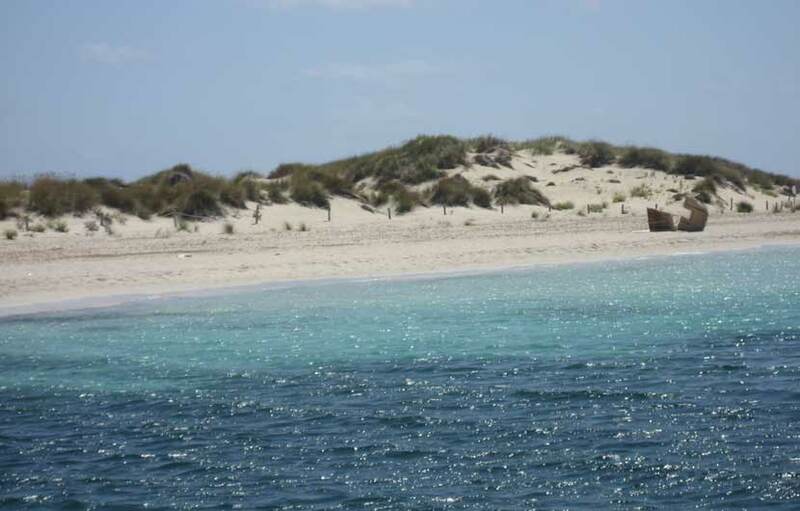 S’alga is a stunning beach in an ideal location to the south of the S’Espalmador Island to the north of Formentera. Las Conchos beach is located to the south of the Canary Island of Lanzarote. It is isolated and rustic and prone to strong winds and a high sea surge so take your surf board. 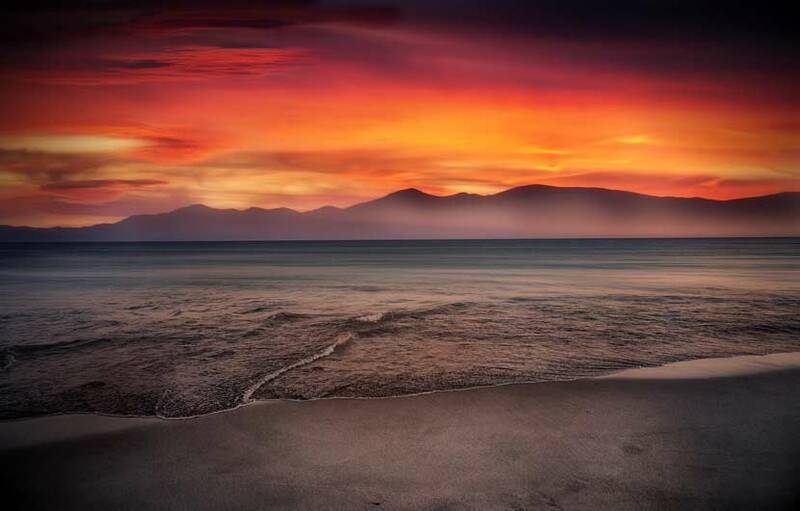 A trip to Lanzarote would not be the same without spending time on this superb beach. 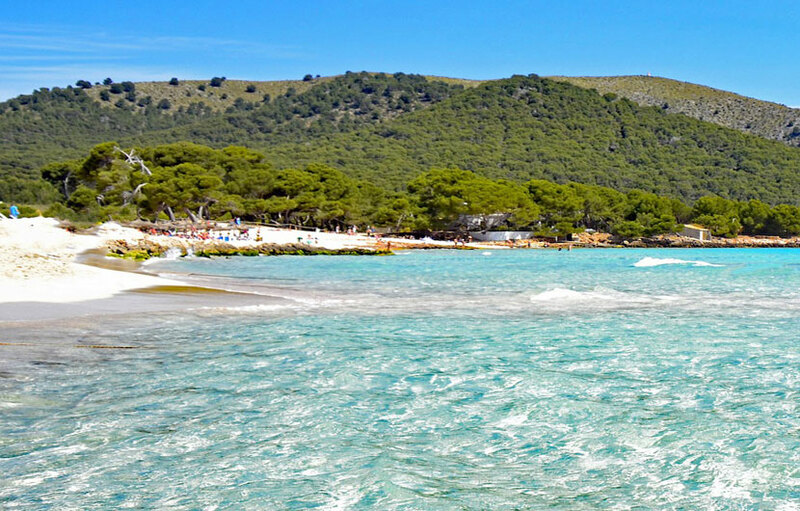 Es Caragol beach is one of the finest beaches on the Mallorcan coastline. Fantastic fine white sand, isolated, quiet with clean calm waters. This is beach lovers dream. It must be said though that it does not offer facilities such as toilets ,wheel chair access. first aid or water sports. Despite that it still has a place on our best beach list due to the incredible overall quality of the beach, sand and location. 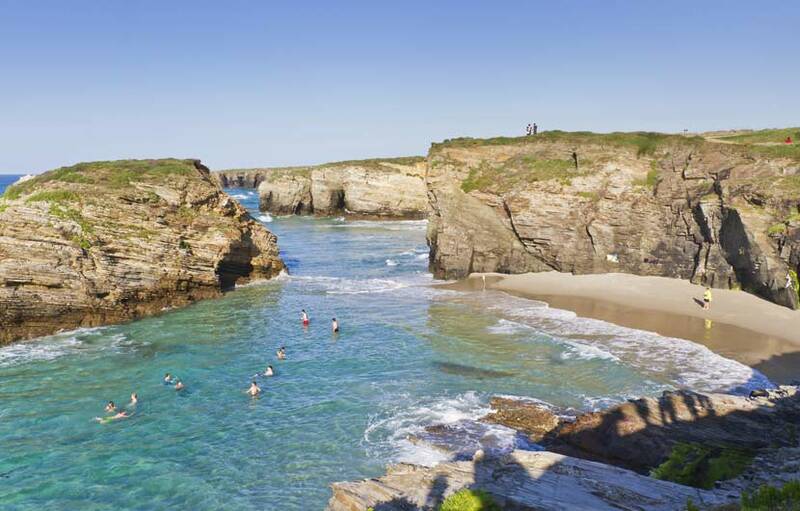 Playa de Bayas also known as El Sablon beach is one of the best beaches located in the province of Asturias. It is surrounded by natural forest along the whole length of this beautiful beach, Playa de Bayas is also of great ecological interest with many species of plants found in this area. The sand is dark and golden and joins up with Los Quebrantos beach to form almost 3 kilometres of pristine beach. The amenities include showers, lifeguard, surfing and parking, it is easily accessed by foot or in car.